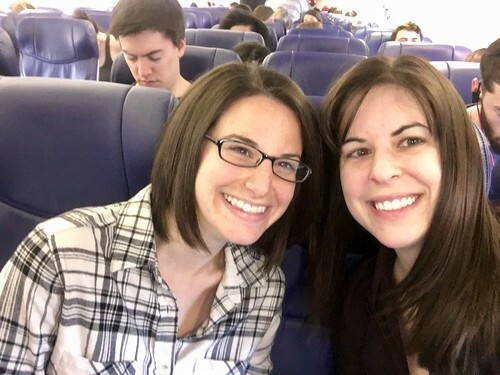 Last year, I made it a priority to travel to a bunch of new places I'd never been. 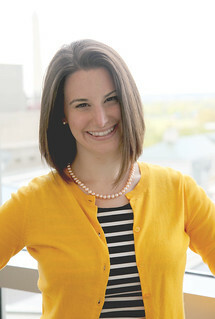 I had so much fun that I decided I wanted to continue making travel and exploring new places a priority this year too. 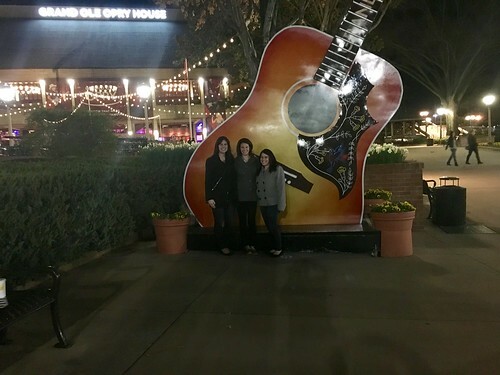 When my best friend found out she was going to be on a six-week work assignment in Nashville, I knew that had to be one of the places I visited this year. I found the one and only free weekend I had the entire month of March, snagged a cheap flight, and Hadass and I jetted off to the land of country music on Saturday morning. 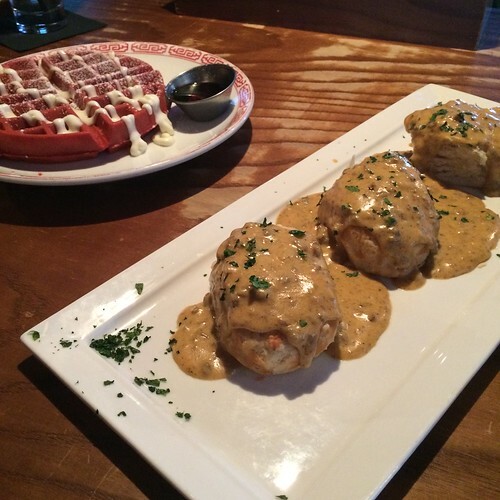 The first thing we did when we got there was indulge in a delicious Southern brunch -- featuring lots of delicious biscuits and some red velvet waffles. 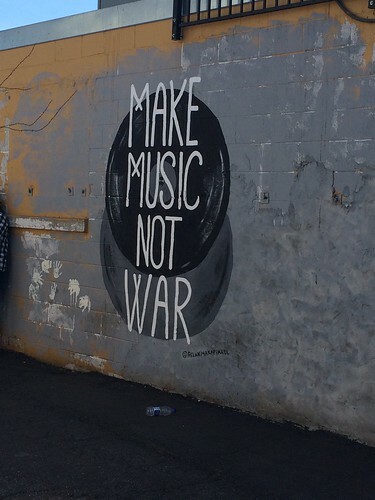 We spent the rest of the day exploring all different parts of Nashville. 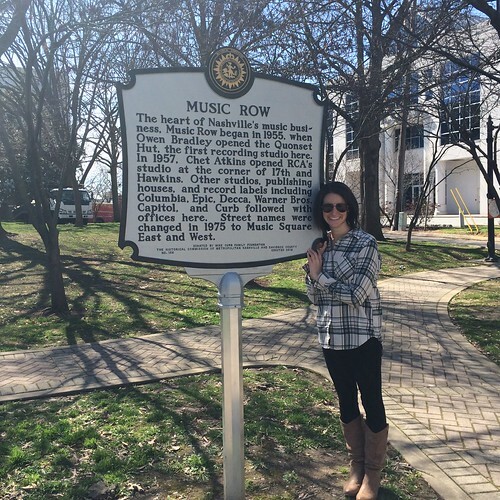 We walked along Music Row, where the famous music houses are. We explored 12 South and hit up the Frothy Monkey for coffee, visited some of the cute shops and strolled through a pretty park. 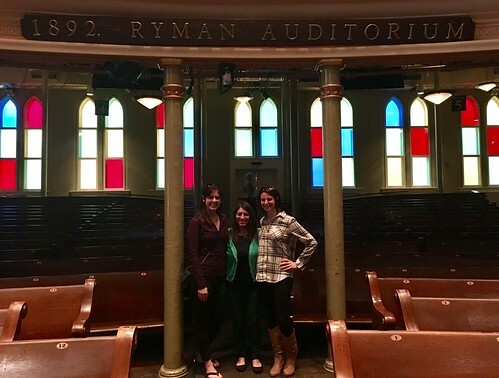 We took a tour of the Ryman Auditorium, made famous largely because it was the original home of the Grand Ole Opry. 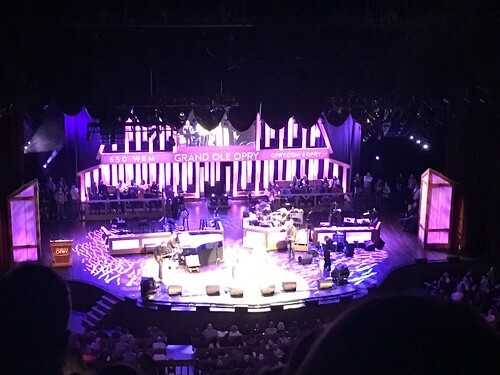 And of course, Saturday night we went to the new home of the Grand Ole Opry to watch a show, followed by some honky tonkin' on Broadway -- where I was reminded that I am not a very good country line dancer, but that it's pretty fun anyway. Saturday was a super full day, so Sunday was much more mellow. 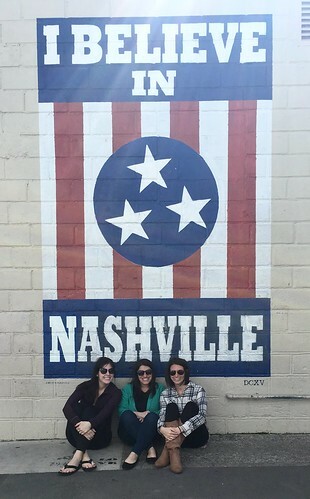 We actually headed outside of Nashville to visit the charming town of Franklin. We strolled along its main street, which was full of cute little mom and pop shops. It was pretty much picture perfect small town America. 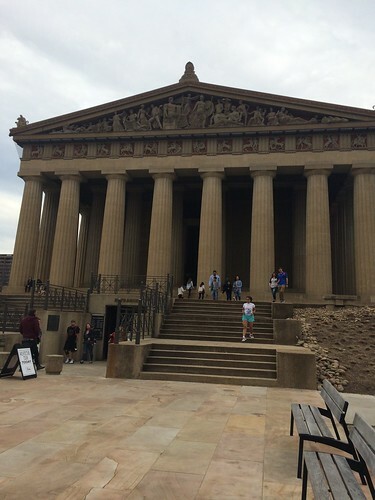 Then we headed back to Nashville and visited the replica of the Parthenon, which was built as part of a centennial celebration. It was super random, but also kind of cool. Our last big stop of the day before taking Hadass to the airport was a late lunch at the Loveless Cafe, where I demolished some fried chicken and biscuits. 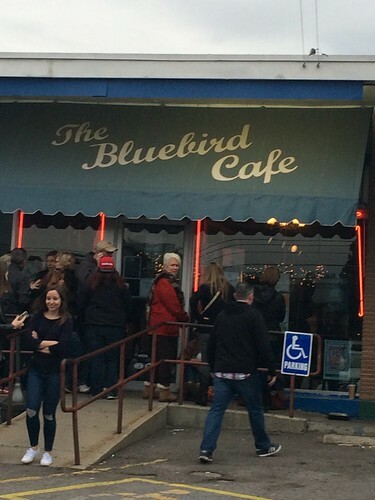 Emily and I also swung by the Bluebird Cafe Sunday evening. The line outside waiting to get in was insane! Clearly the TV show Nashville made that bar super popular. Seriously I ate so much food on this trip, I was pretty sure I'd only be wearing stretchy pants for weeks. My flight back home was on Monday, and Emily and I stopped a super cute coffee shop for breakfast before heading to the airport. I never realized Nashville was quite as sprawling as it was. A lot of the things we saw were not walkable to each other, and so we had to drive almost everywhere. 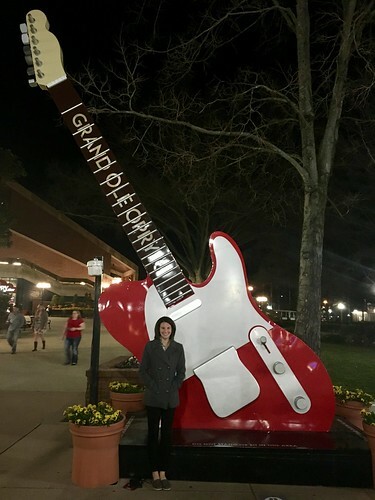 I also learned from Emily that Nashville is facing a serious influx in people moving to the region, and the lack of public transportation is a concern for people as more and more traffic comes to the area. It was a different experience for me to see a bigger city this way. I think I'm so used to cities in the Northeast/Mid-Atlantic, where all the major stuff is only a short walk away or there is a ton of public transportation to make it easy to get around. So it was kind of fascinating to see this bigger, popular city that is kind of sprawling. Even though it was a short trip, it was such a great time, and it was a great excuse to explore a new place with friends!